The quantity pricing below reflects a per unit price without upgrades if available. The FDA & USDA has accepted FlyWeb as one of the most effective insect control products available to both residential and commercial consumers. It's compact size (3.5" wide x 11" high) and direct plug-in feature allows this device to be used in any indoor electric outlet; making it ideal for use in bars, restaurants, retail stores, offices or in the home. 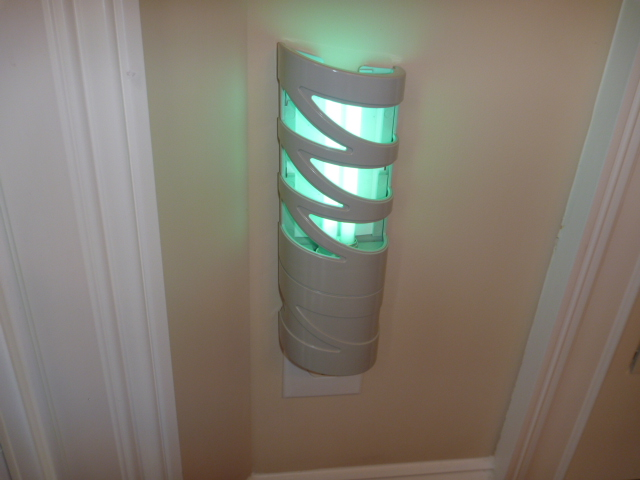 FlyWeb uses an insect attracting ultraviolet lamp to lure insects towards the replaceable adhesive trapping board. The FlyWeb comes with one gluecard so we recommend purchasing at least one pack of 10 gluecards with your initial FlyWeb order. 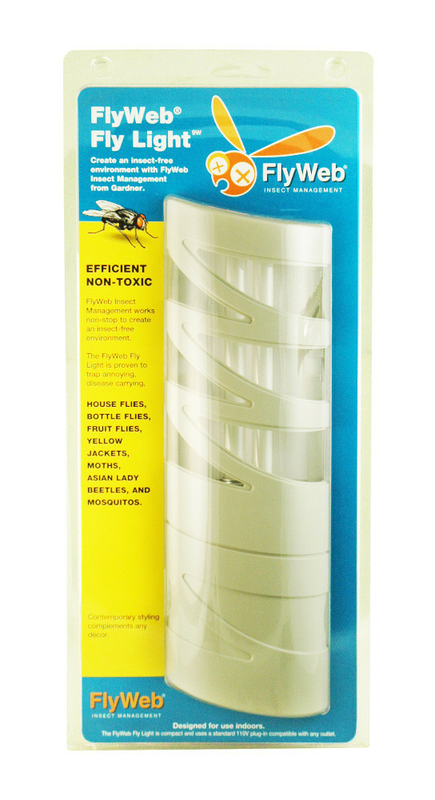 FlyWeb works very effectively 24/7 to create an insect-free environment. One FlyWeb will cover about 600 square feet. I was very skeptical after having tried many other insect control devices that are on the market, but the FlyWeb made our kitchen insect-free. At my Lakeview vacation home, I love to keep the windows open but hate the annoying insects that find their way into the cottage. 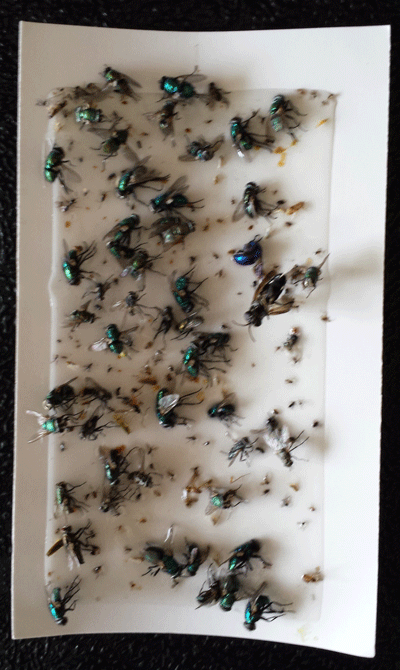 I put FlyWeb in every room and bingo, no more flying pest problems. 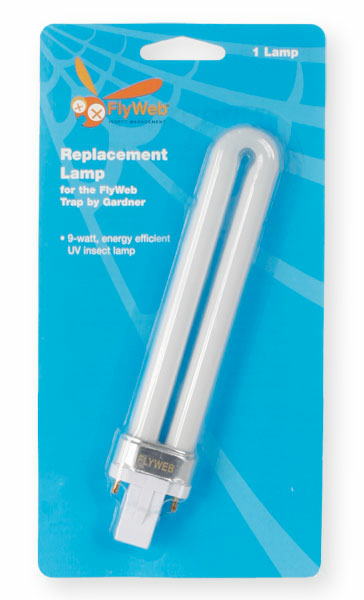 It also makes a great night light for my grandchildren! Christine - Highlands, NC. 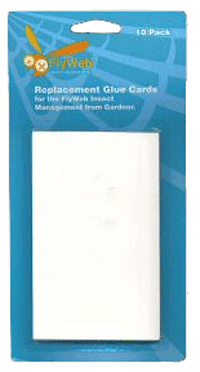 10 Pack of replacement glue cards. Each 3" x 5" card holds up to 100 insects! The FlyWeb comes with one gluecard so we recommend purchasing at least one 10-pack with your initial FlyWeb order.